Since gravel dunes are strongly linked with flow hydraulics (e.g., Carling et al., 2002), they provide information on parameters such as shear stresses, mean velocities, and stream powers even though their exact formation mechanism is poorly understood due to a lack of experimental data. Their existence along flood reaches depends primarily on sediment supply and appropriate hydraulic conditions (e.g., Komatsu et al., 2009). Image 2: Field shot of sediment in gravel-rich dunes near Kyzyl, capital city of Tuva, along the Yenisei River, Sayan Mountains, Siberia. The dune field is situated on top of a terrace 20-30 m above the modern river. Photo by Goro Komatsu. There are few examples of flood-formed dunes on Mars despite the fact that outflow channels, cited as the evidence for catastrophic flooding, dominate a large fraction of its planetary landscape. 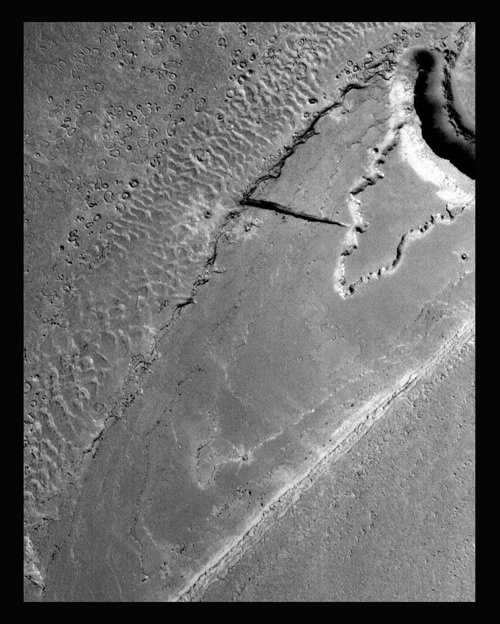 One notable example is located in Athabasca Valles, Mars (Burr, 2004) (Image 3). Confirmation of their presence requires further studies including in-situ field observation. The absence of subaqueous dunes on Mars may be explained by the fact that that their formation was limited in Martian flood conditions (inadequate sediment supply and/or hydraulic conditions). Alternatively, it may be due to poor preservation and post-flood modifications in the 2-3 billion years since deposition. Image 4. A possible flood dune field next to a streamlined hill, in Athabasca Valles, Mars. MOC image E1001384. Image is 3.17 km wide. From Burr (2004). Baker, V.R., 1982. The Channels of Mars. University of Texas Press, Austin, Texas, 198 pp. Carling, P.A., Kirkbride, A.D., Parnachov, S., Borodavko, P.S., Berger, G.W., 2002. 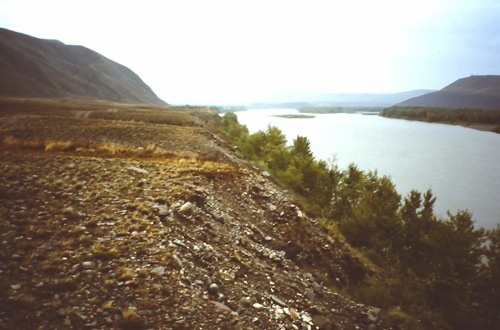 Late Quaternary catastrophic flooding in the Altai Mountains of south-central Siberia: a synoptic overview and introduction to flood deposit sedimentology. In: Martini, I.P., Baker, V.R., Garzon, G. (Eds. 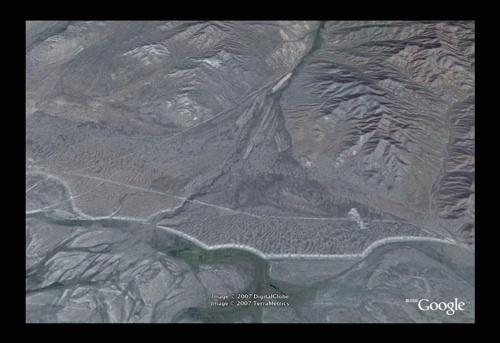 ), Flood and Megaflood Processes and Deposits: Recent and Ancient Examples. International Association of Sedimentologists Special Publication 32, Blackwell Science, London, pp. 17-35.